Oh SNAP… Are you like totally bugg’n? AS IF! 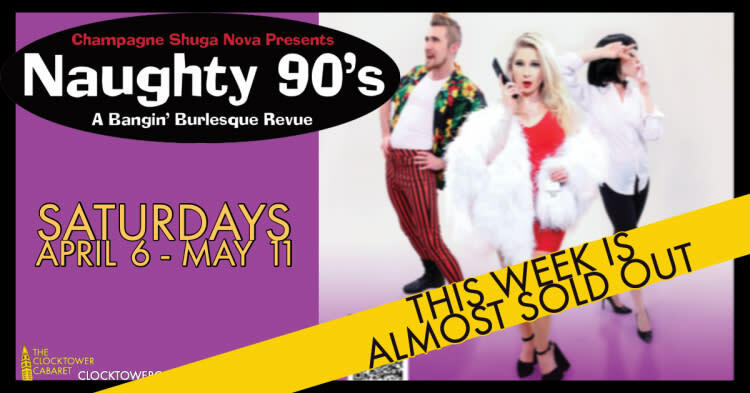 Spice up your life and get ready for a hella good time with Champagne Shuga Nova's Naughty 90’s Bangin Burlesque Revue. If you know life in plastic IS fantastic, “I’ll be there for you” with a dope new show to take you back in the day!